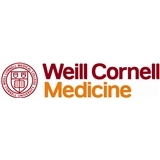 Weill Cornell Medical Associates (New York) - Book Appointment Online! I walked in to a very clean building. I took the elevator to the second floor and was greeted warmly by the front desk clerk. Check in was completely electronic and my wait time before being called was literally 3 minutes. Azmazing!!! My Doctor was very informative and made me feel that she really cared. She went out of her way to explain things and to ask specific questions about me. Not all doctors do this. It was very refreshing to experience this and I highly recommend her. This was a very good first impression. Dr. Yu was great. Warm and listening while also efficient. Very attentive and caring. Truly cared about my health and well being. Dr. Pomona was very kind, but awkward. The office staff was EXCELLENT! We just relocated from Texas to NYC and we wanted to find a pediatrician that was kind, warm, and knowledgeable like the one we had in Dallas. Dr F was exactly that! She’s so welcoming and shows genuine care! She didn’t seem like she was in a rush and took her time to make my daughter feel cared for.